Are you ready to get your extreme on and then show it off to your friends and the world? 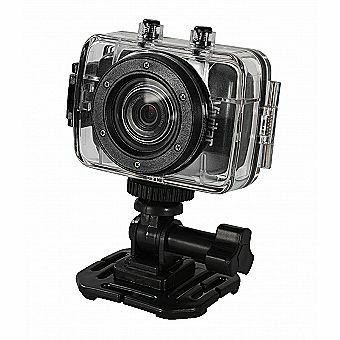 Vivitar DVR 785HD action camera makes it easy! This 5.0 mega pixel camera features a 2 inch full touch screen AAAAND a WATERPROOF CASE! That's right, so even when extreme takes a turn for the wet you can still capture it all! Uses a lithium battery and comes with a helmet mount, bike mount, and stand accessory. The only thing you need is the guts to put it all to the test! Adrenaline not included.